In today’s world, being healthy and being fit are often viewed synonymously. But traditionally good health is referred to as the condition of a person's mind, body and spirit free from any illness, injury or pain. Ideally just fitness or even being healthy is not enough, if we are not happy. Happiness or Wellness focuses on a healthy balance of the mind, body and spirit that results in an overall feeling of well-being. Health is therefore more a result of wellness, since wellness is an active process of becoming aware of and making the right conscious choices towards a more fulfilling existence. A combination of health and wellness programs result in a constant and conscious pursuit of living life to its full potential. 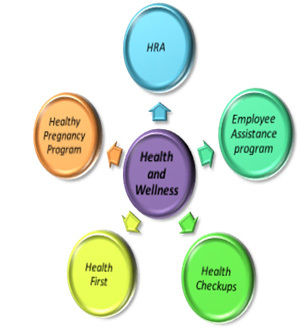 View our various Health and Wellness programs by clicking the links below.